I sincerely believe Ohio is among the most exciting beer states in the country right now, though I am undoubtedly biased. I’ve lived in the Buckeye state for all fifteen years of my legal drinking life, and I’ve watched Ohio’s craft scene explode along with the rest of the country’s. While many of our breweries have gained national recognition, many more truly excellent breweries remain largely unheralded outside of our state borders. 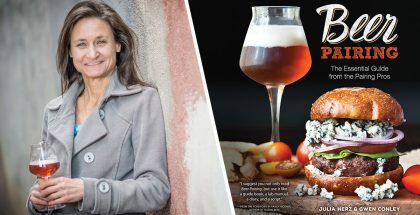 To be honest, it’s one of the things I love about our beer scene here; visitors don’t expect the incredible Belgian beers of Rockmill Brewery, or the farmhouse prowess of Little Fish, or the world-class lambics of Rivertown, or the all-around brilliance of Jackie O’s. 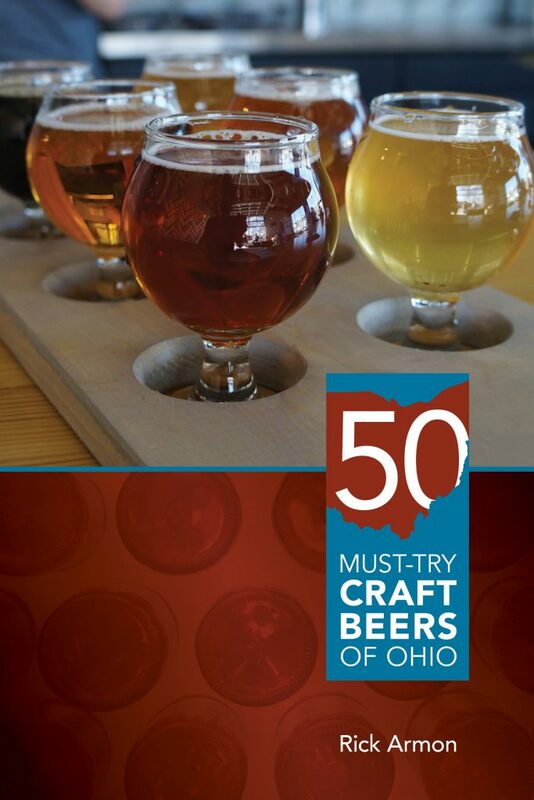 As a journalist, Rick Armon has been the foremost Ohio beer evangelist for close to two decades, and his new book 50 Must-Try Craft Beers of Ohio is a wonderful introductory guide to what our state has to offer beer aficionados. 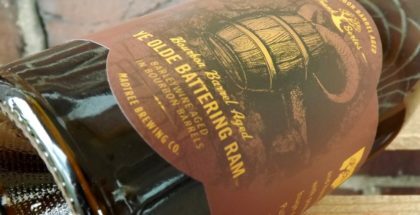 Rick wisely avoids making any sort of claims along the lines of “the best Ohio beers” and instead focuses on brews that are significant and noteworthy on their own terms. He also avoids the kind of grandstanding claims that often trouble regional beer guides (“Our breweries are the best because our brewers care more!”) and instead shines a light on our great beer state as one beautiful piece of the broader American craft beer mosaic. After discussing each of his selected brews, Armon showcases nearly two dozen significant Ohio breweries, and profiles ten individuals who have been highly influential in the Ohio beer scene. He concludes with a pairing guide to ten classic Ohio foods, including chocolate buckeyes and Cincinnati-style chili. 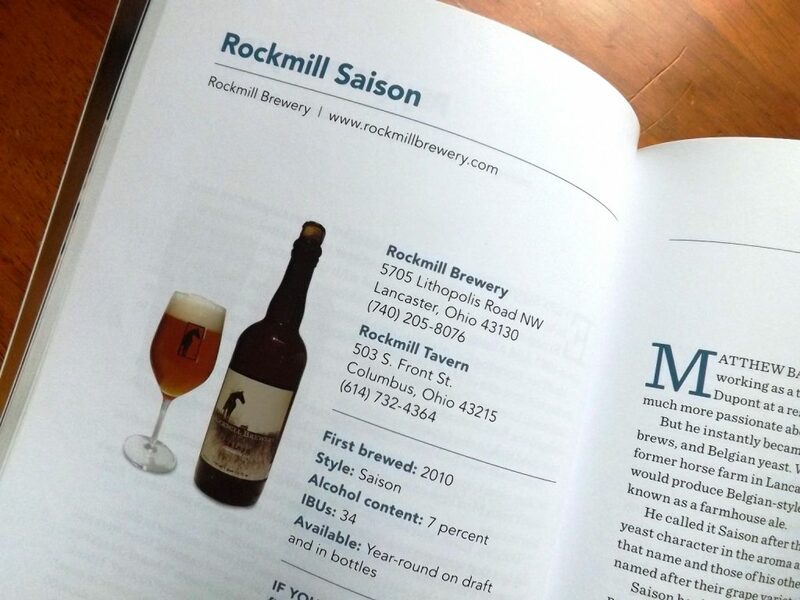 I recently had the chance to talk to Rick about his new book, the state of craft beer, and his favorite Ohio brews. PorchDrinking: We’ll get the most important question out of the way first: Which beers have you most been enjoying lately? Rick Armon: At this time of the year, I really enjoy stouts and porters. A good Russian imperial stout on a cold day is perfect. My beer fridge is always full of different beers—mostly Ohio stuff and often only one of each so I can sample as many different ones as I can. I’ve been drinking Royals Docks Vlad the Impaler, Yellow Springs Boat Show, Columbus Bodhi, Four String Hilltop Lager, and some specialty stuff from Hoppin’ Frog like their 17% Gavel Slammer. What is your background in the beer world? I started writing about the beer industry back in the late 1990s. I was the public affairs editor at the Democrat and Chronicle newspaper in Rochester, New York. I was overseeing local government reporters and the Washington, D.C., and statehouse bureaus. I also was in charge of election coverage. One day, the features editor stopped by my desk and said the paper was going to start a beer column and they wanted me to co-write it. I asked why and she replied, “Because we hear you drink a lot.” I don’t drink a lot. But I enjoyed sampling different brands and styles, even way back when the selection wasn’t as great as it is today. I’ve been writing about beer ever since. 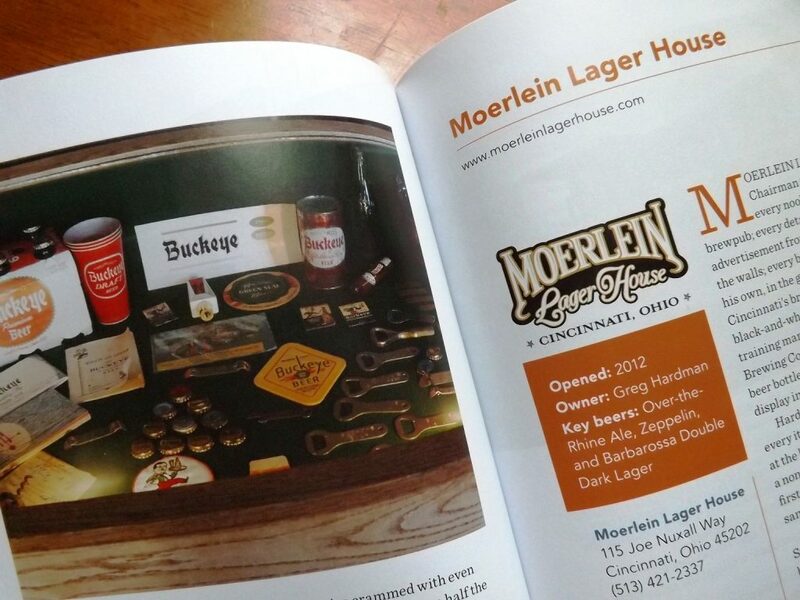 The interest also led to my first book, Ohio Breweries, which was a travel book profiling every brewery in the state. Waaaay back then, in 2011, there were only 49 breweries in the entire state. I also launched the Ohio beer news site www.ohio.com/beer. Like almost every other state, Ohio’s beer scene has exploded in the last few years. What major changes do you think we’ll see in the Ohio beer scene over the next five years? I think we are going to see more neighborhood breweries and more breweries opening in small towns. It amazes me that there are breweries in Lisbon, Maria Stein, and Hicksville, for example. Not because they aren’t lovely little communities, but it just seems weird that they can support their own craft brewery. But then again, the eat local, drink local movement is big and still growing. We may eventually see a brewery in every city and village, and in healthy neighborhoods in big cities. This is going to squeeze some of the larger operations so we may see some contraction, as well. Let’s face it, if I’m visiting a brewery in my local town, I’m not spending my money on other brands. Which breweries surprised you most when you were visiting them for 50 Must-Try Craft Beers of Ohio? I’m not sure there were any that surprised me. I love traveling around and visiting breweries so I had already visited most, if not all of them that were open at the time. The book was put together in late 2014 and early 2015 so there are plenty of places open today that weren’t open back then. Ohio has some really cool places. Put In Bay Brewing Co. is on a Lake Erie island. You have to take a ferry to get there. Or swim. Or take a plane. The journey there is part of the fun. Maumee Bay Brewing Co. in Toledo is a beer museum and I can spend hours there looking at beer cans, staring at breweriana and reading plaques dedicated to the local brewing history. Rhinegeist Brewery in Cincinnati is eye-popping in its size. Father John’s Brewing in Bryan is a religious museum—it’s in a former church and the owner has filled it with religious icons. 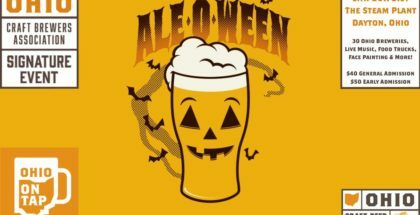 Which Ohio breweries should people be paying attention to that are maybe flying under the radar right now? I’ve been impressed with the latest crop of breweries (since the book was put to bed) that are opening around the state. I still have to get to some of them. My liver and pocketbook are only so big, so sometimes it takes me a little bit to visit some places that are hours away. And considering a new place opens every 0.5 seconds in this state, there are several that I need to visit. This isn’t a comprehensive list but I’d say Brink, FigLeaf, Lockport, Masthead, Noble Beast, Black Cloister, Goldhorn, and Moeller Brew Barn. Then there are the places that have been around for a little while and I assume people know about or at least hope that people are aware of but tend to get overshadowed by other big names in their areas. These include JAFB, Yellow Springs, Sideswipe, Fifty West, and Willoughby. I’m sure that I’m forgetting some. Ohio often calls itself “The Crossroads of America,” and every four years we’re told “As Ohio goes, so goes the nation.” Do you think Ohio’s image as a cultural thermometer for the nation holds true for beer as well, distilling the brewing trends around the country, or is there a distinctive Ohio beer identity? I don’t know. Maybe we mirror the rest of the U.S. when it comes to beer or maybe the rest of the U.S. mirrors Ohio. I don’t see a big difference. As for having a distinctive beer identity, I don’t think so. I don’t see any one aspect that distinguishes Ohio from the rest of the country. We do have plenty of traditional Christmas ales made here, especially in Northeast Ohio, thanks to Great Lakes Christmas Ale. So if I’m pinned down on what’s different here it’s the Christmas ale phenomenon. If an out of state visitor were to plan a weekend beercation to one Ohio city, where would you send them and which breweries or bars would you require them to visit there? Tough, almost impossible question. Every major Ohio city now has a flourishing beer scene and I could put together great tours for each of them. If I’m required to pick one, I guess I’d have to go with Cleveland. It’s a more mature craft beer market than elsewhere thanks to Great Lakes Brewing Co. At the beginning of 2012, the Cleveland/Akron area had more craft breweries than the Columbus, Dayton, Cincinnati, and Toledo markets combined. That’s not a slight on the other communities, which have caught up rapidly both in terms of volume and quality. But if you’re going to go somewhere, you may as well head to the state’s cradle of craft brewing and that’s Cleveland. Cleveland is also home to Ohio City, where there are seven breweries within easy walking distance of each other (Great Lakes, Market Garden, Nano, Hansa, Forest City, Brick and Barrel, and Bad Tom.) And, if you are a really good walker, you can add two more (Platform and Saucy). No other area in the state can boast that type of concentration. Now if you’re visiting the Cleveland area and need to take in five places, you really need to visit (in no particular order) Great Lakes, Market Garden, Willoughby, Fat Head’s (either the brewpub or the production facility), and The Brew Kettle. Those are all either trend-setting or award-winning breweries that have really carried the Cleveland and Ohio flags. Finally, I’ll ask you the question you put to every Ohio beer professional you profiled for 50 Must-Try Craft Beers of Ohio: What are you top-5 recommended Ohio beers? I’d go Jackie O’s Oil of Aphrodite Imperial Stout, Fat Head’s Head Hunter IPA, Market Garden Progress Pilsner, Hoppin’ Frog B.O.R.I.S. the Crusher Oatmeal Imperial Stout, and Columbus Bodhi IPA.